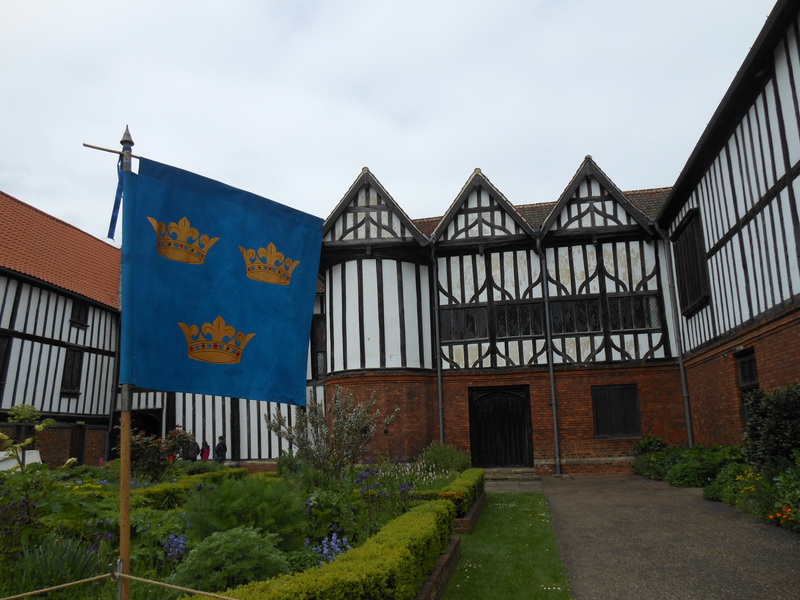 Gainsborough Old Hall – History… the interesting bits! We often hear the story that Katherine Parr was used to marriage to older men when she accepted the proposal of Henry VIII in 1543. Her second husband, Lord Latimer, was a widower with young children and twenty years older than his bride. And her first husband, it has often been said was a man much older in years. However, this story has arisen from a case of mistaken identity, between a grandfather and grandson of the same name, Edward Burgh. Katherine Parr’s first husband was Edward Burgh (pronounced Borough) of Gainsborough in Lincolnshire. And Katherine’s early biographers appear to have assumed that this was Edward Burgh senior, Lord Burgh from 1496 to his death in 1528. The Burgh family were descended from Hubert de Burgh, 1st Earl of Kent and Justiciar for King John and Henry III. Hubert had even been married, briefly, to King John’s first, discarded wife, Isabel of Gloucester. 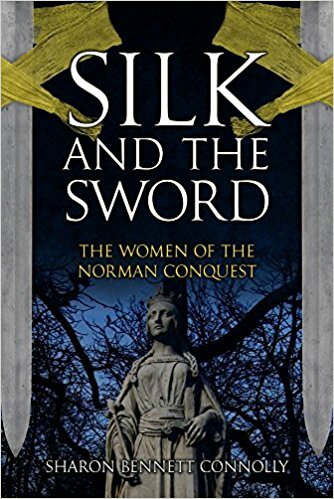 The first Thomas Burgh had fought at Agincourt and married Elizabeth Percy, a co-heiress of a junior branch of the mighty Percy family, the Earls of Northumberland. 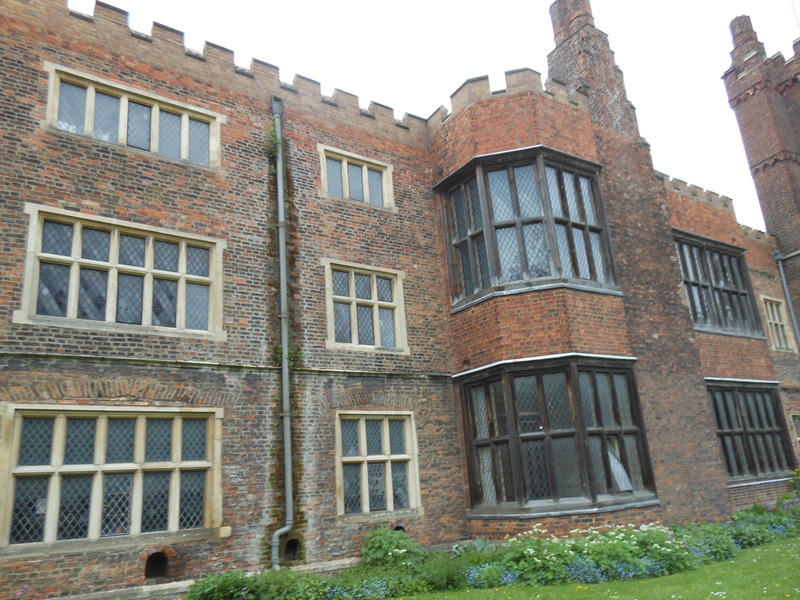 It was through Elizabeth Percy that the manor house at Gainsborough came into the Burgh family, inherited from her father; she then left the estate to her son Thomas (II) Burgh, Baron Gainsborough, on her death in 1455. Thomas (II) Burgh was a trusted Yorkist, named sheriff of Lincoln in 1460 and, later, an Esquire of the Body for King Edward IV. By the end of 1462 he had been knighted and was a member of the Privy Council. By 1464 he had married a wealthy widow Margaret, dowager Lady Botreaux and daughter of Lord Thomas Ros. It was Sir Thomas Burgh who, along with Thomas Stanley, rescued Edward IV from his imprisonment in Middleham Castle by the Earl of Warwick. The sacking of Burgh’s manor house at Gainsborough was the opening move of the rebellion of Richard, Lord Welles, in 1470, which eventually saw Edward IV escaping to Flanders and the brief readeption of Henry VI; Edward IV recovered his kingdom in 1471, with the Battle of Tewkesbury, and Henry VI’s mysterious death in the Tower of London just days later, putting an end to Lancastrian hopes. 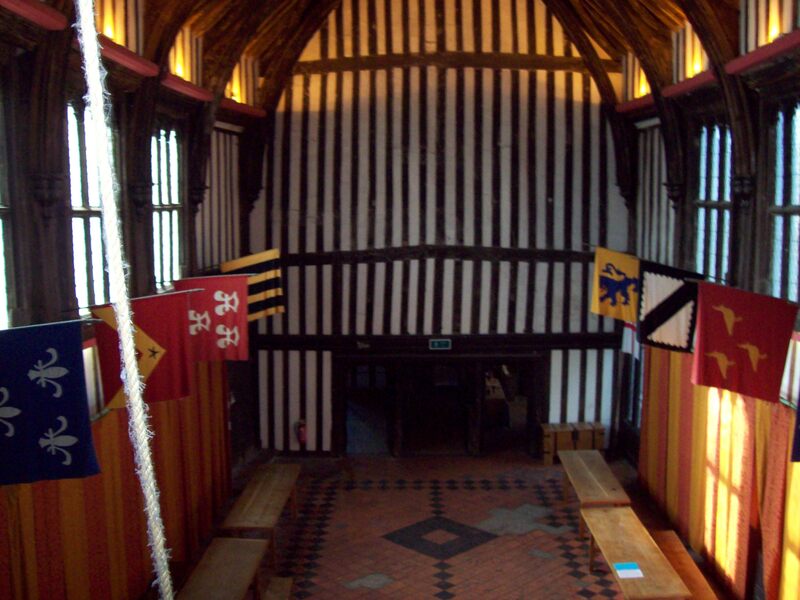 On Edward IV’s death, Sir Thomas had initially supported the succession of his brother, Richard III, but switched his allegiance to Henry Tudor shortly after King Richard visited the Sir Thomas’s Hall at Gainsborough. What had been said to make this staunch Yorkist transfer his support to a Lancastrian pretender, we can only guess…. In 1496, Thomas was succeeded as Baron Gainsborough by his son, Edward Burgh, who married Anne Cobham, daughter of Sir Thomas, 5th Baron Cobham of Starborough, when he was 13 and she was just 9 years old. It was from this marriage that the Burgh’s would inherit Starborough Castle. Although he won his knighthood on the battlefield at Stoke in 1487, and was a Member of Parliament for Lincoln in 1492, Edward appears to have been less politically capable than his father. He soon fell foul of King Henry VII, whether it was because of the fact he associated with those the king distrusted, or due to early signs of mental illness, in December 1496, Edward was forced into a legal bond where he was obliged to present himself to the king wherever and whenever it was demanded, and to vow to do his subjects no harm.¹ He was even remanded to the custody of the Lord Chamberlain and had to seek royal permission if he wanted to leave court for any reason. For a time, he was incarcerated in the Fleet Prison, but managed to escape, despite his promise and financial guarantee not to; an action which put him in thousands of pounds of debt to the king. From his mother, Margaret de Ros, it seems Edward had inherited a mental illness, one which also affected his Ros cousins, Sir George Tailboys and Lord Ros of Hamlake. As a result, in 1509, ‘distracted of memorie’, he was declared a lunatic.² His wife died in 1526 and he died in 1528, never quite recovering his wits. He was succeeded as Baron Burgh of Gainsborough by his son, Thomas (III). In 1496, aged just 8-years-old, Thomas (III) had married Agnes Tyrwhitt. The marriage had been arranged by his grandfather, Thomas (II) and gave the younger Thomas useful contacts within Yorkshire and Lincolnshire, contacts he would need to counteract the damaging effects of his father’s mental illness and royal disfavour. Thomas (III) pursued a dual career, combining service as a justice of the peace in Lindsey with his service at court. In 1513 he was knighted on the battlefield of Flodden, the same field on which James IV of Scotland met his death. He was Sheriff of Lincoln in 1518-19 and 1524-25. He was appointed Anne Boelyn’s Lord Chamberlain in May 1533, and held the middle of the queen’s train at her coronation. He was also one of the twenty-six peers who sat at Anne’s trial in 1536. Thomas (III) and his wife had as many as 12 children. The eldest of which was Edward, who died in 1533. It was this Edward who was the 1st husband of Katherine Parr, a marriage that had been arranged in 1529 by Sir Thomas and Katherine’s widowed mother, Maud Parr; her husband, Thomas Parr of Kendal, had died in 1517. Maud had taken it upon herself to arrange her daughter’s future. After a failed proposal to marry Katherine to Henry Scrope, the son of Lord Scrope of Bolton, due to the prospective groom’s lack of enthusiasm, Maud turned to another of her late husband’s relatives and arranged for Katherine to marry Edward. Young Edward was of a similar age to his wife, not the old man as was stated in Katherine’s early biographies, when he was mistaken for his grandfather. Katherine was 17 at the time of the marriage, with Edward in his early twenties. It is impossible not to muse on how life could have been so different for Katherine, had this first marriage proved longer-lasting. Sir Thomas, however, was renowned for his violent outbursts and wild rages (possibly due to the inherited mental instability in the family) and had a tyrannical control over his family. The first two years of the marriage, spent at Sir Thomas’s Hall at Gainsborough, was a miserable time for Katherine. She wrote, regularly, to her mother of her unhappiness and it seems the situation was only resolved following a visit by Maud Parr, who persuaded Sir Thomas to allow Edward and Katherine to move to their own, smaller, house at Kirton-in-Lindsey. We don’t know whether Edward was a sickly individual (he may have inherited his grandfather’s mental illness), or whether or not he succumbed to a sudden illness, but their happiness was short-lived, as he died in the spring of 1533. 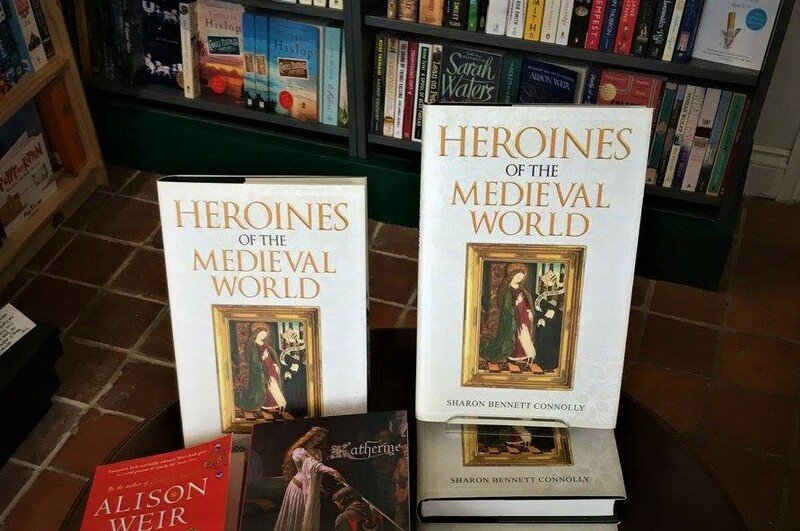 Having no children, Katherine was left with little from the marriage, and, with her mother having died the previous year, and with her siblings in no position to assist her, she was virtually alone in the world. 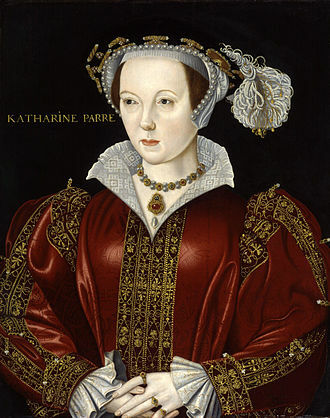 It was possibly as a remedy to her isolation that Katherine married her second husband, John Neville, 3rd Baron Latimer, who was twenty years her senior, in the 1534. There is no record that Katherine served any of Henry VIII’s queens. Her first appearance at court seems to be in 1542, when she became a lady-in-waiting in Mary Tudor’s household, before she caught the King’s eye. Sir Thomas, Baron Burgh of Gainsborough, was eventually succeeded by his third surviving son, William, born in the early 1520s. He married Katherine Fiennes de Clinton, daughter of Edward Fiennes de Clinton – the future Earl of Lincoln – and Elizabeth (Bessie) Blount, a former mistress of Henry VIII and mother of the king’s illegitimate son, Henry Fitzroy, Duke of Richmond and Somerset. Lord Latimer died on 2 March 1543 and Katherine became Queen of England when she married Henry VIII on 12 July the same year. Her marriage to the king would last less than 4 years and ended with Henry’s death on 28 January 1547. In May 1547 Katherine secretly married her 4th and final husband, Sir Thomas Seymour, brother of her predecessor as queen, Jane Seymour, and uncle of King Edward VI. She died at Sudeley Castle on 5 September 1548, having given birth to a daughter, Mary, 6 days earlier. She was buried in the chapel at Sudeley on the same day. Her daughter was given into the custody of Katherine Willoughby, Duchess of Suffolk, but disappeared from history whilst still a toddler. Sources: Gainsborough Old Hall, Extended Guide Book by Sue Allen; In Bed with the Tudors by Amy Licence; oxforddnb.com; The Life and Times of Henry VIII by Robert Lacey; England Under the Tudors by Arthur D Innes; The Earlier Tudors 185-1558 by JD Mackie; Elizabeth’s Women by Tracy Borman; Henry VIII: King and Court by Alison Weir; In the Footsteps of the Six Wives of Henry VIII by Sarah Morris and Natalie Grueninger; Ladies-in-Waiting: Women who Served at the Tudor Court by Victoria Sylvia Evans; The Life and Times of Henry VII by Neville Williams; The Six Wives and Many Mistresses of Henry VIII: The Women’s Stories by Amy Licence; Tudorplace.com; John Leland Leland’s itinerary in England and Wales 1535-43 edited by L Toulmin Smith (1906-10); Letters and Papers, Foreign and Domestic, of the Reign of Henry VIII 1509-47 edited by JS Brewer, James Gairdner and RH Brodie, HMSO London 1862-1932; Privy Purse Expenses of King Henry VIII from November MDXIX to December MDXXXII edited by Sir Nicholas Harris Nicolas 1827. Rose Locke was born in London on 26 December 1526. She was the daughter of Sir William Locke and his 2nd wife, Katherine. The 3rd of 11 children, her family were some of the earliest Protestants in England, and staunch supporters of Henry VIII’s divorce from Catherine of Aragon. The family lived in Cheapside in the 1530s, with Rose’s father and several brothers serving as agents of the king in France and Flanders during the 1540s. A mercer and alderman of London, Rose’s father was a gentleman usher of the chamber to Henry VIII and was appointed sheriff of London in 1548; he was knighted by Edward VI in 1549. On 28 November 1543, just a month short of her 17th birthday, Rose married London merchant Anthony Hickman. They had as many as 7 children together and their eldest daughter, Mary, was born in 1547 and a son, William, was born in 1549. Sons Walter and Anthony were born in 1553 and 1560 respectively. Another son, Eleazar, born in 1562, was named after John Knox’s son, and the last, Matthew, was born in 1563. There were two other daughters, Frances and Rose, though their birth dates are unclear. 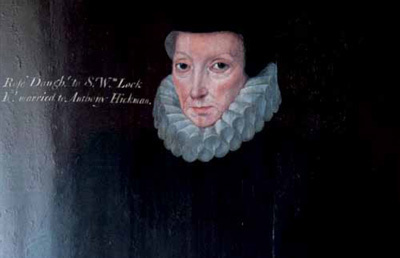 Anthony Hickman owned several ships, including the Great Christopher, given to Queen Elizabeth I’s navy in 1560 and renamed Victory; and had property in London, Essex and Antwerp. He had a business partnership with Rose’s brother, Thomas Locke, and both were favourites of Henry VIII and Edward VI, growing rich through their mercantile endeavours. The Hickmans entertained such eminent clergymen as John Foxe and John Knox; Rose’s sister-in-law Anne Locke was a correspondent of John Knox and he mentioned the family a number of times in his letters to her between 1556 and 1560. However, the advent of the reign of Mary I, and the resurgence of the Catholic faith in England, meant that the staunchly Protestant family fell out of favour with the catholic queen. They defied Mary by holding private religious services in their homes. Anthony and Thomas were both arrested and held in the Fleet prison for a time, before being released to house arrest. Anthony eventually escaped to Antwerp, with Rose and the children following him shortly after; the family would remain on the continent until after Queen Mary’s death. They returned to England shortly after the accession of Elizabeth I. However, religious divisions were becoming more pronounced as Queen Elizabeth’s reign advanced, not only between Catholicism and Protestantism, but within Protestantism itself. After Anthony’s death in 1573, Rose married again. Her 2nd husband was a widower, Simon Throckmorton of Brampton, who died in 1585. Rose rarely used the Throckmorton surname, possibly because of its association with plots to rescue Mary Queen of Scots by disaffected Catholics; the Throckmorton Plot being led by Sir Francis Throckmorton, a cousin of Queen Elizabeth’s lady in waiting, Bess Throckmorton. The Hickman family had become known for their Puritan leanings; Puritans were those who wanted the ‘purer’ church as envisaged in the reign of Edward VI, rather than the compromise established by Elizabeth I. In 1593, in order to curb the activities of such religious dissidents, Elizabeth I’s government had approved the ‘Act Against Puritans’, whereby it became illegal to become a Puritan or encourage others to that tendency. As a result, official appointments at court, for those known to have Puritan connections, suddenly dried up. Rose’s son Walter, deeply entrenched in court circles and an old hand at brokering appointments for friends and family (usually with a financial incentive) discovered the implications of the new stance in 1594. The Cecil Papers show that Walter was refused when he applied for the position of Receiver of the Court of Wards for his brother William, despite offering an inducement of £1,000.² The increasing hostility towards Puritans, and the possibility of escalating religious persecution, may well have persuaded William to move his family north; away from the prying eyes of the authorities and into Lincolnshire. With the encouragement of Katherine Willoughby, Duchess of Suffolk, ministers with Puritan leanings had been appointed to various churches throughout Lincolnshire. Several of the Pilgrim Fathers, who sailed to America on the Mayflower, would come from the region, including William Brewster and William Bradford. Families with strong ties to service at the Tudor court, such as the Burghs of Gainsborough, were moving south, closer to London and the person of the Queen, while other families were moving north. In 1596 William Hickman bought the Old Hall at Gainsborough, which provided the merchant with his very own port on the River Trent. The move to Gainsborough was not without its challenges. With the Burgh family having essentially left the town to its own devices for the last 30 years, Hickman’s attempts to collect market revenues and port tolls met with opposition, including the apparent murder of one of his servants, who was stabbed to death. It may well have been that William’s puritan leanings exacerbated the situation, but the main unrest seems to have stemmed from relatives and retainers of the outgoing Burgh family. A Mr Topliff, who tried to stop William obtaining justice for his servant, was the son-in-law of Thomas Burgh III (himself the father-in-law of Henry VIII’s last queen, Katherine Parr). Now approaching her 80s, Rose moved to Gainsborough with her eldest son. In 1610, at the age of 84, she wrote an account of her early life, from 1534, when her father removed the papal bull, which had been posted in Dunkirk, against Henry VIII. Her recollections ended in 1558, with the death of Mary I and her family’s return to England on the accession of Elizabeth. John Leland Leland’s Itinerary in England and Wales 1535-43 edited by L Toulmin Smith (1906-10); Letters and Papers, Foreign and Domestic, of the Reign of Henry VIII 1509-47 edited by JS Brewer, James Gairdner and RH Brodie, HMSO London 1862-1932; Privy Purse Expenses of King Henry VIII from November MDXIX to December MDXXXII edited by Sir Nicholas Harris Nicolas 1827; Religion and politics in mid-Tudor England through the eyes of an English Protestant Woman: the Recollections of Rose Hickman edited by Maria Dowling and Joy Shakespeare; Bulletin of the Institute of Historical Research, 1980 & 1982; A Guide to Gainsborough Old Hall by Sue Allan; Elizabeth’s Women by Tracy Borman; England Under the Tudors by Arthur D Innes; Henry VIII: King and Court by Alison Weir; In Bed with the Tudors by Amy Licence; In the Footsteps of the Six Wives of Henry VIII by Sarah Morris and Natalie Grueninger; Ladies-in-Waiting: Women who Served at the Tudor Court by Victoria Sylvia Evans; The Six Wives and Many Mistresses of Henry VIII: The Women’s Stories by Amy Licence; Oxforddnb.com; Tudorplace.com; gainsborougholdhall.com. Lady Rose also features in Marie McPherson’s novel on the life of John Knox, The Second Blast of the Trumpet.